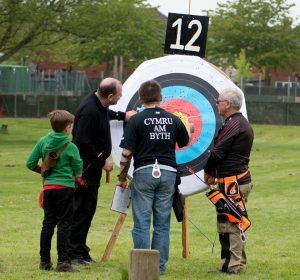 In target archery formal shooting takes the form of rounds – a round comprises of a stated number of arrows shot over stated distances. There are many different types or round – each one has its own name to identify it, for example a Western round involves shooting 4 dozen arrows at 60 yards followed by 4 dozen arrows at 50 yards. A listing of the different types of round is displayed in the Clubhouse, at the back of the Beginners Manual and on the GNAS Round & FITA Round pages. 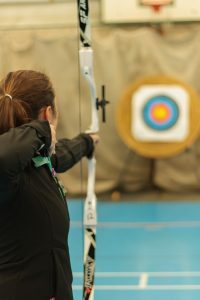 A list of recurve, longbow, barebow and compound classifications can be found using the button below. When a member shoots one of these rounds, either at the club or in competition elsewhere, they should submit their score to the Records Officer who will then calculate, from the tables in their possession, the handicap value for that score and round. A handicap is finally given after three such scores have been submitted and an average of the three handicap values has been calculated. The Records Officer, using the scores, handicaps and tables will also define personal classifications, i.e. 3rd Class, 2nd Class, 1st Class, Bowman, Master Bowman, Grand Master Bowman. 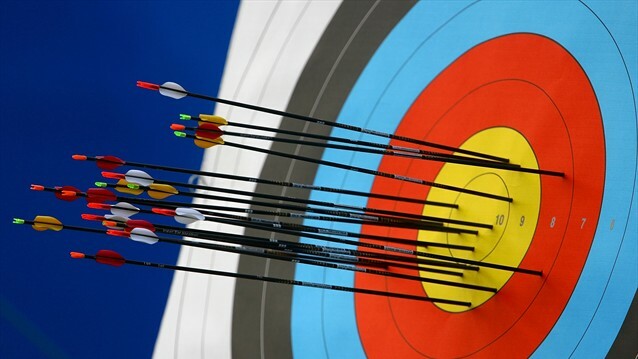 You can achieve 3rd, 2nd, 1st or BM (Bowman) classification at any club shoot or competition. You need to submit 3 scores to the Records Officer to classify. You can only classify for MB (Master Bowmen) and GMB (Grand Master Bowman) having submitted 3 scores to GNAS, from Record Status Shoots / Tournaments.